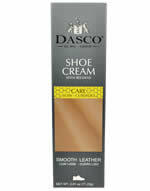 Dasco - small leather shoe care kit in a transparent zipped bag. 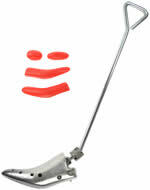 Transparent zipped bag to keep it all in. 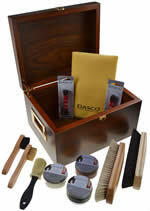 Dasco - small leather shoe care kit in a leatherette bag. Black and brown leatherette case zipped bag to keep it all in. 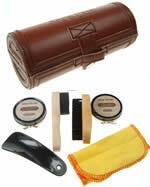 Brown leather style shoe kit with popper closer. 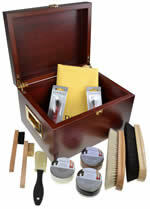 Cherry wood valet box with brass handles and shoe care contents. Made of wood veneer with brass plated fittings. Walnut valet box with brass handles and shoe care contents. 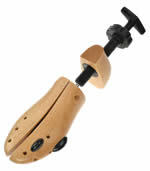 Made of wood veneer with brass plated fittings. Cherry wood valet box with brass handles. 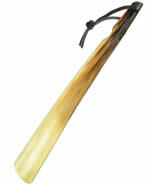 Made of wood veneer with brass plated fittings. Walnut valet box with brass handles. 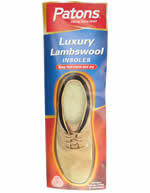 Made of wood veneer with brass plated fittings.